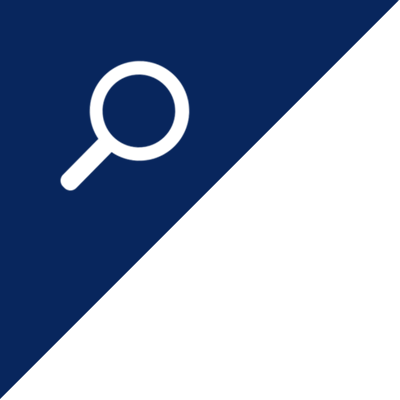 The present lovely work is a rediscovery combined with a very distinguished provenance: the Earl of Spencer’s collection. Marie-Madeleine Aubrun mentioned the work in her catalogue but without knowing the location. This sheet served as the model for a painting presented at the Salon in 1864, under the no. 138, and then bought the same year by Emilien van Nieuwerkerke, for the Maison de l’Empereur et des Beaux-Arts. The painting is now at the Musées des Beaux-Arts, in Nancy. So, in 1864, according a letter of the 12th of March (Archives du Louvres, x22), Achille Benouville worked hard in his atelier of Rome to finish the painting, after the present drawing made five years earlier. There are two other studies of the same view, one less fine and in less good condition, and a smaller circular one. The author Léon Lagrande (1828-1868) made the following judgment about the work of Benouville at the Salon: “La beauté de la nature italienne est une beauté de race. Il suffit qu’on nous la montre sur la toile ainsi qu’un miroir pour faire crier l’idéal. Rien de plus réel cependant que La Vue de Tivoli de M. Benouville” (in La peinture et la sculpture au Salon de 1864). In a certain way, everything is said here about the present sheet. 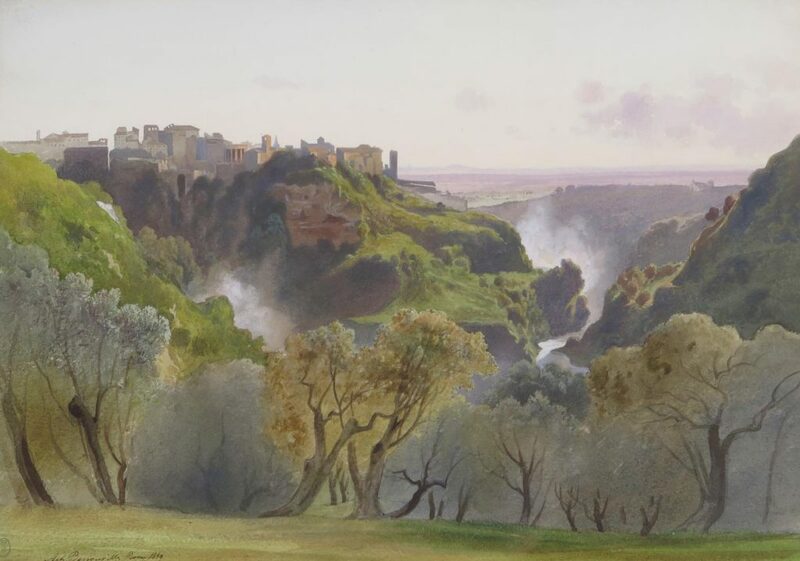 In his View of Tivoli, 1859, the French artist showed the evocative charm of the Roman landscape, the nature, ruins and archaic atmosphere of one of the most popular sites for artists since the early 17th century. The main focus of this refined composition is the flourishing nature rather than the temples and the ruins. On the front, the nebulous entrance to the wood invites to look up at the boundless view of the Tiburtine hills. This shadowy area of the work is in contrast to the transparency of the sky in the upper part and the brightness of the white, diaphanous drizzle of the cascades in the centre. Instead of the vertical format which was often adopted to emphasize the height of the rocks and the majesty of the water scene, the painter chose the horizontal view in order to show the entire town of Tivoli on the top left. It is worth mentioning the very notable provenance, the Earl Spencer. Due to the date of the present work, it is certainly not John Spencer, the 1st Earl and the initiator of his collection, who acquired the present work, but most probably his grand-son, John Poyntz, 5th Earl Spencer (1835-1910), or his two sisters, or his brother Charles Robert, 6th Earl Spencer (1857–1922), who were all pretty active in the field of collecting. After the First World War, the family sold mainly the old master prints and books. The gallery of paintings and drawings which remained preserved in Althorp until the 2nd WW, was also the most beautiful private gallery in England. It must also be said that the collection at Althorp has been marvelously well preserved. It is generally in a pristine conservation state. Born in Paris, Benouville received his first training from the history and portrait painter Léon Cogniet. Some years later, he was awarded the Rome Prize for historic landscape paintings which allowed him to move to Rome in 1843, where he first shared his studio with his friend Jean-Baptiste Camille Corot; he lived there for twenty-five years. At the time, Achille Benouville, a particularly gifted artist, was appraised in the genre of the naturalist approach, as well as for history painting.